For me, it’s the smell of wood smoke around the bonfire, baked potatoes cooked in tinfoil and hot mulled cider. It's also a time of change, with shortening days, falling leaves and silky smooth conkers bursting from their prickly shells. Nature’s colours are warm and earthy with leaves changing from green to various shades of red, yellow, orange and brown. Autumn is a time of festivals that celebrate thanksgiving and remembrance. While shortening days bring the evening celebrations of Halloween, Diwali and Bonfire Night. With lighted candles in pumpkins, turnip lanterns, diyas and fireworks. 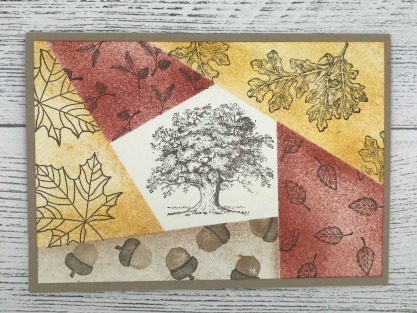 So, how can we reflect autumn in our handmade greeting cards? 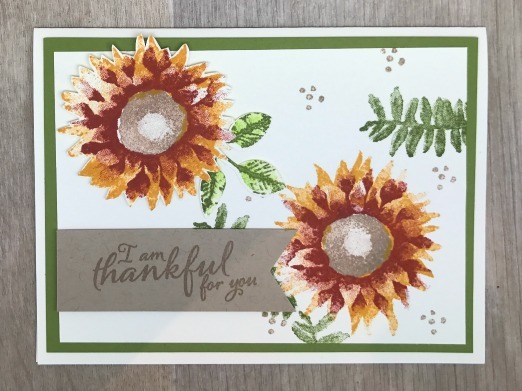 Our first set of autumn cards uses the majestic sunflower. Sunflowers have warm shades from popular yellow to orange, red and bronze. 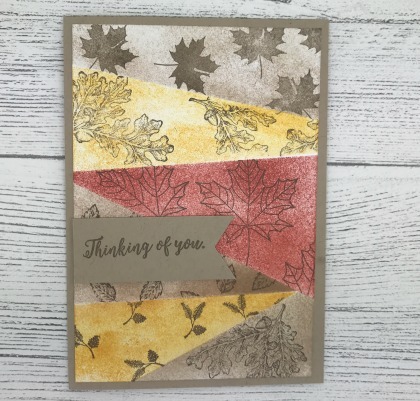 For these I used the Painted Harvest stamp set and leaf punch from Stampin Up! The sunflowers are made using the 2 step stamping technique. Complete the sunflower with the centre seed head. Stamp one of the sunflowers onto a separate sheet of card. Then either fussy cut around the edges or use a starburst punch for a similar effect. 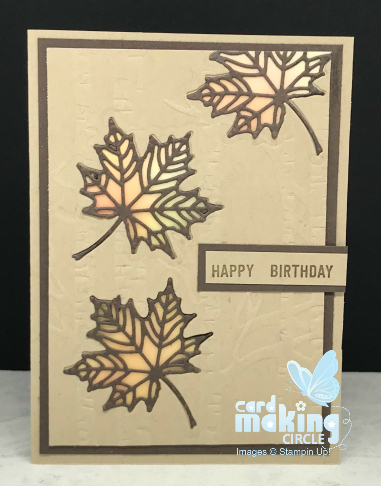 The leaves also use the 2 step stamping. Cut with the leaf punch or fussy cut. 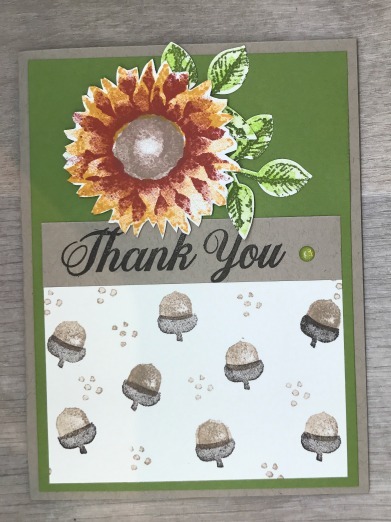 Mount the sunflower and leaves onto your card with foam pads for a 3D effect. Finally add your own choice of sentiment. 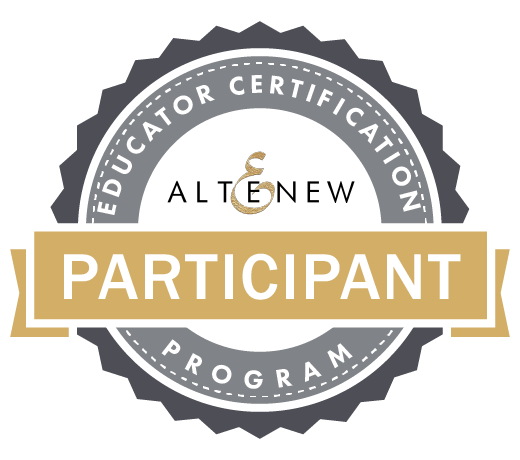 Created using the Retiform technique.